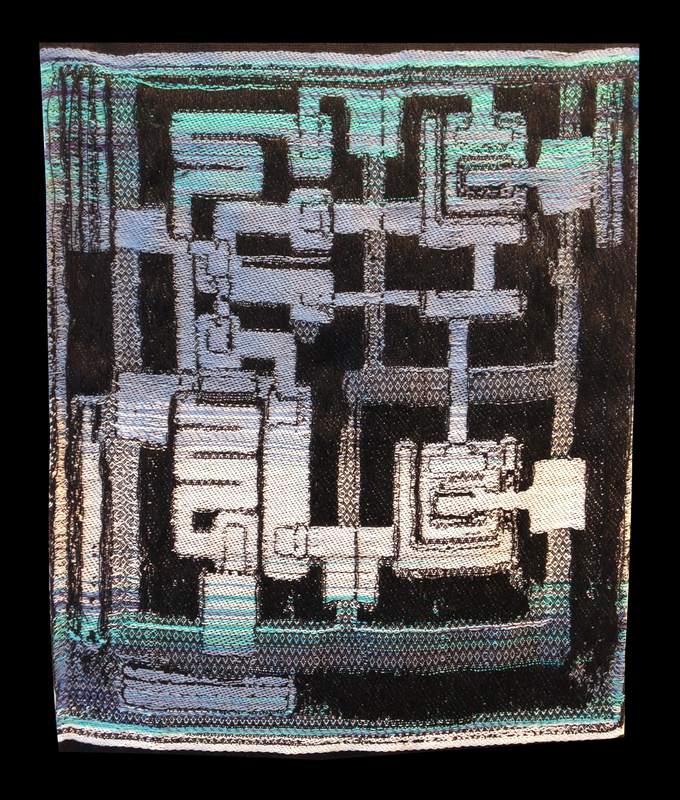 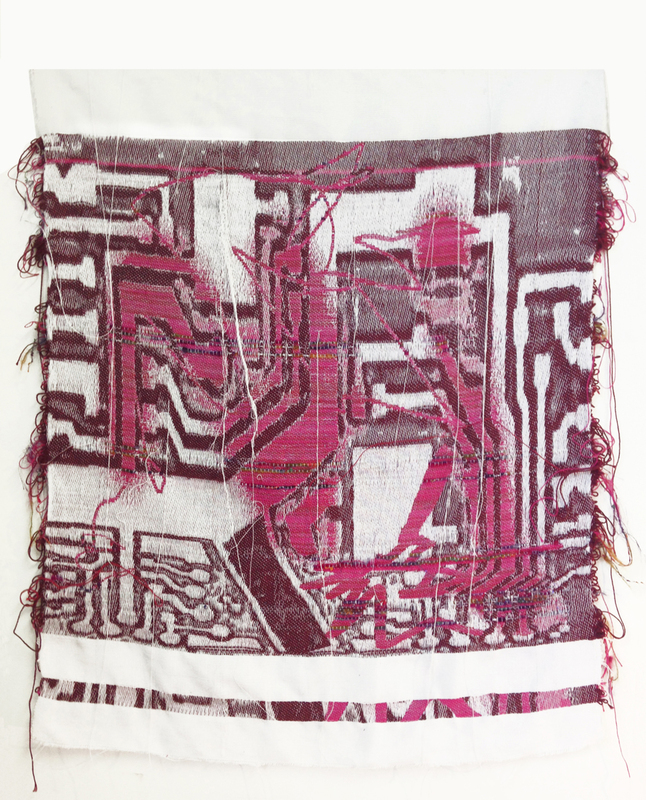 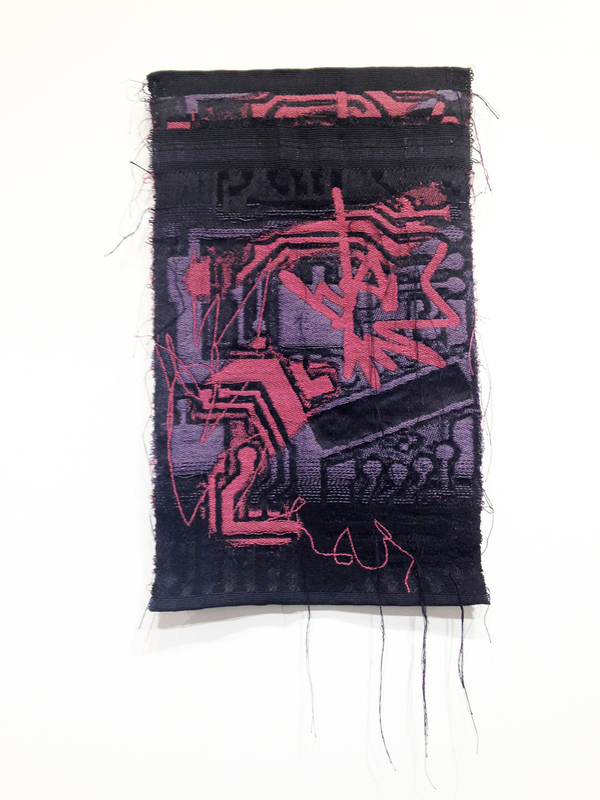 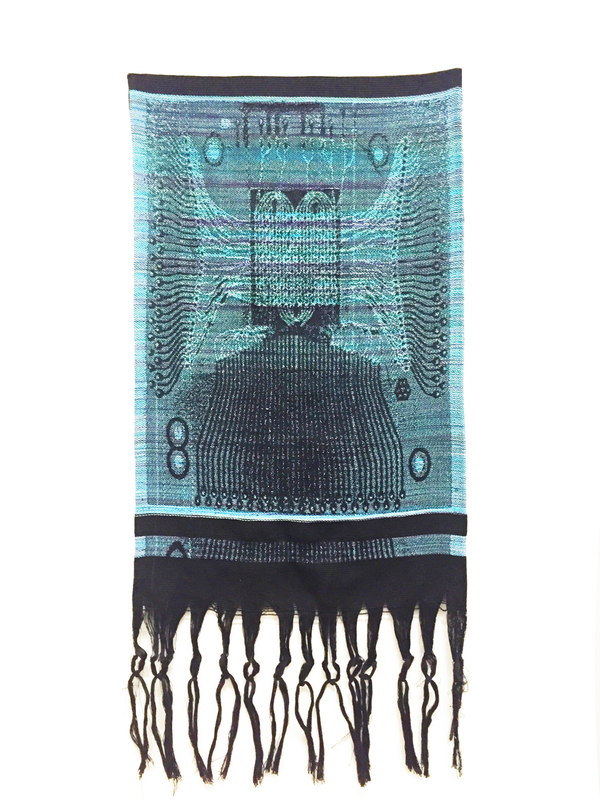 Utilizing a digitally-operated Jacquard handloom, the contemporary version of the first binary operated machine and arguably the precursor to the first computer, I hand weave tapestries that combine ethnographic symbolism, computer-related imagery, and digital mark making. 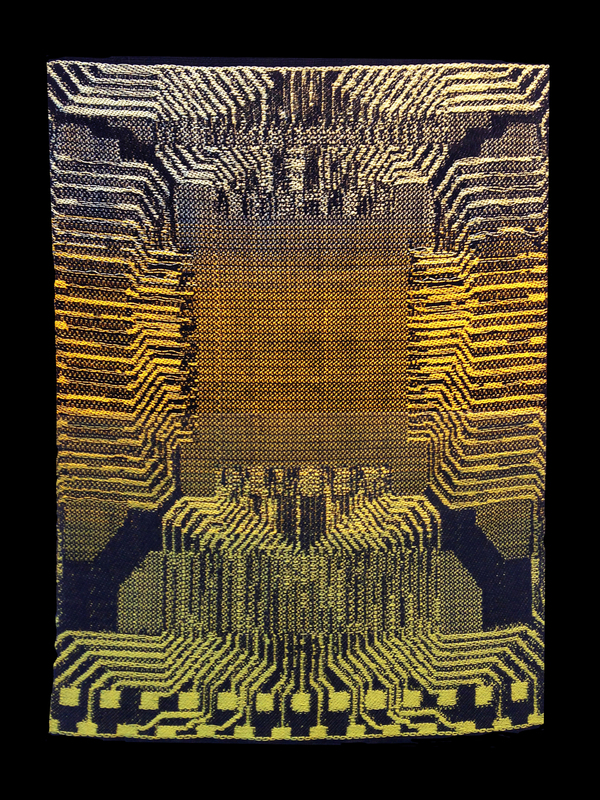 Symbols from ancient weaving traditions and motherboard hardware blend together with Photoshop brush strokes amid interlocking threads. 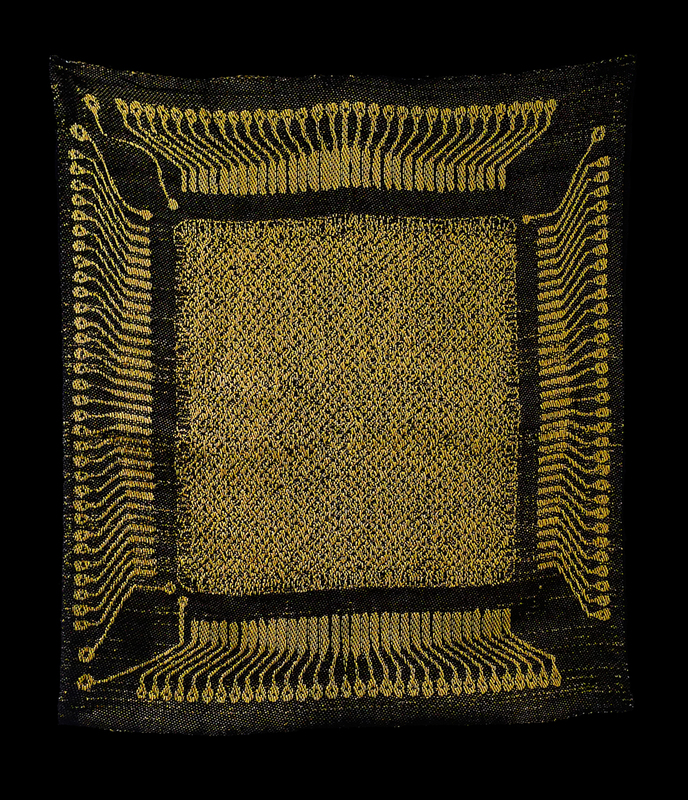 The juxtaposition of textiles with technology opens up a conversation between reconciling the old with the new, traditions with new possibilities, as well as the relationship between textiles, symbols, and language.